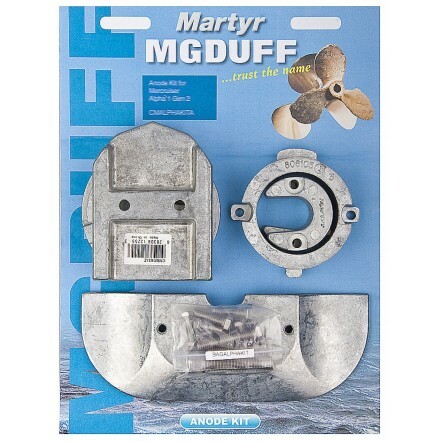 Aluminium Mercury / Mercruiser Alpha 1 Generation 2 engine anode kit. For salt and brackish water use only. Direct OEM replacement. Kit Includes: CM76214A: x1. CM806105A: x1. CM806189A: x2. CM821629CA: x1. CM821631A: x1. Fixing Kit: x1.